The Rare Group was awarded a contract for a 17 km pipeline for DRD Gold. The contract involves installing free issue steel, and lining the steel pipe with Rare Plastic Lining technology. The HDPE pipe for the lining is manufactured by Rare Plastics, a division of the Rare Group, at its factory in Meyerton. The pipe line runs from The Rooikraal pumping station 6km south west from DRD Gold’s Ergo plant up to the Knights pumping station south west of Benoni. This will be a brand new line which will carry additional slurry from Rooikraal to Knights. 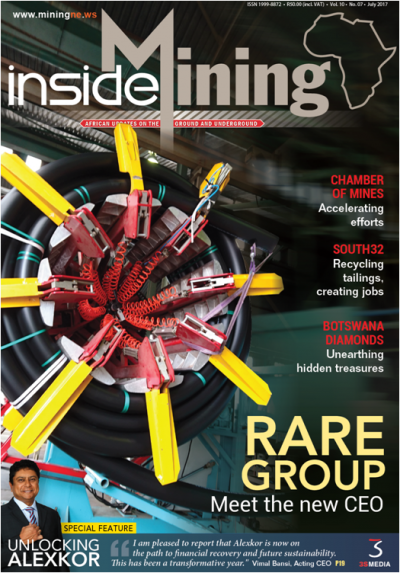 Click here to view the article published on www.engineeringnews.co.za on 24 June 2014.